Recently, the kind folks over at Supremo sent us some fabulous cheeses, chorizo, and cremas. We ate most of the cheeses in sandwiches, with eggs and chorizo, in beans, in quesadillas, on sopes, with fruit, etc. 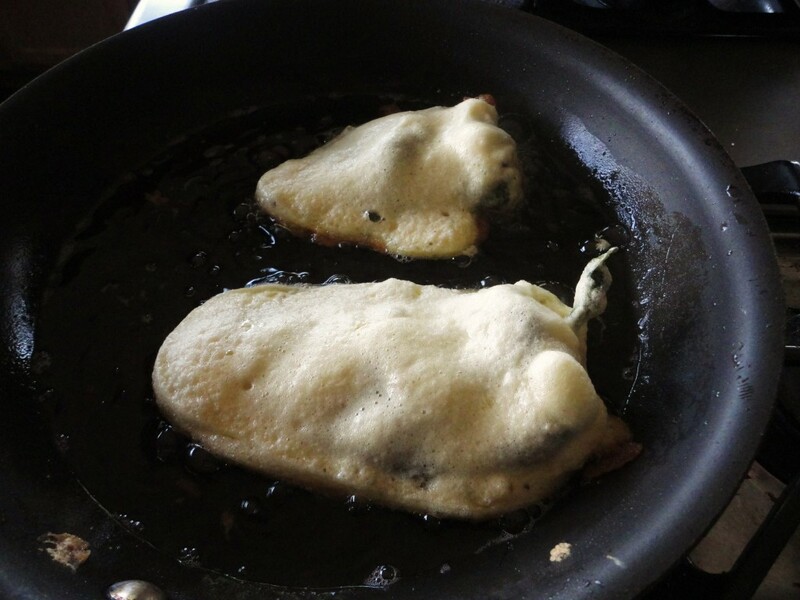 We made some devilishly delicious Red Chilaquiles using some Queso Asadero, a LatinoFoodie spin on Strawberries and Cream using Mexican Ricotta, and these Chile Rellenos with two kinds of cheese. We chose Queso Chihuahua because it is a semi-soft, mild melting cheese with a buttery flavor, and we used the Queso Chihuahua con Chipotle to add a little smoky heat. 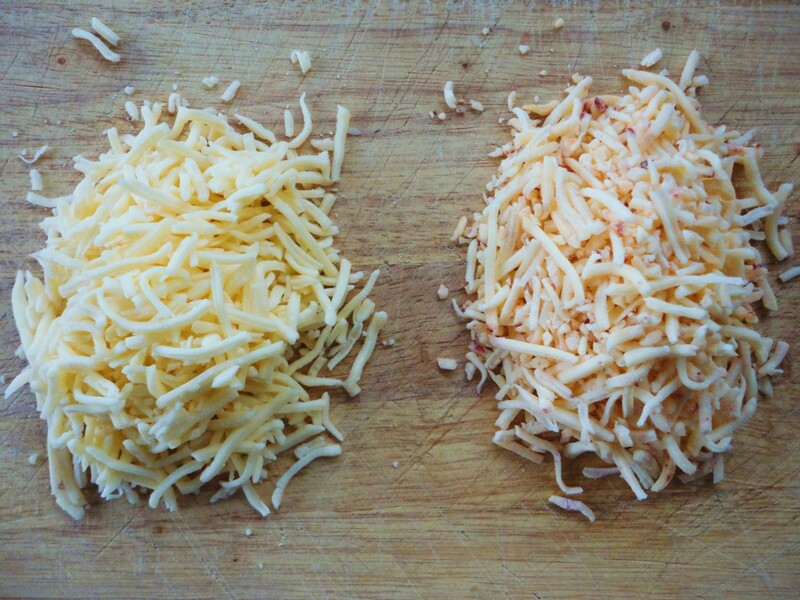 We used shredded cheese because that is what was available to us. If you have it, cutting long spears of cheese works well here. 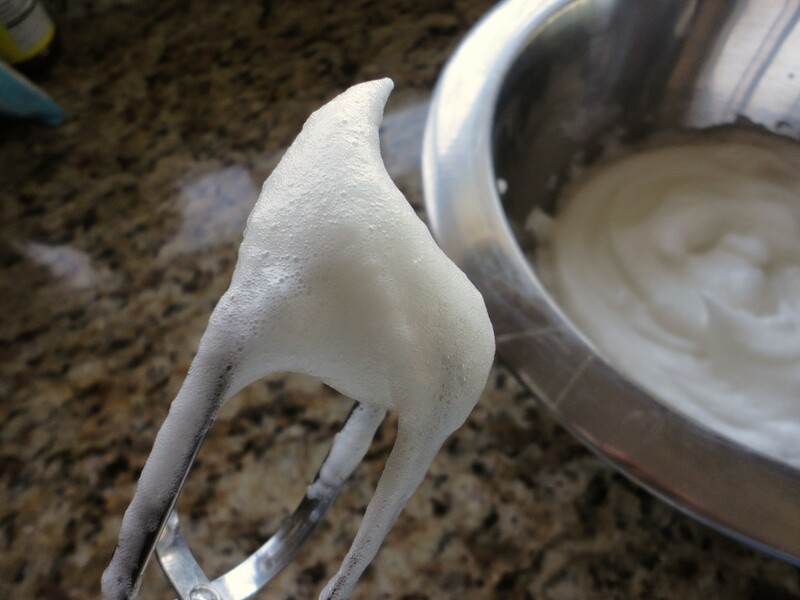 The whipped egg whites offer a nice thick and spongy casing for you to bite into. 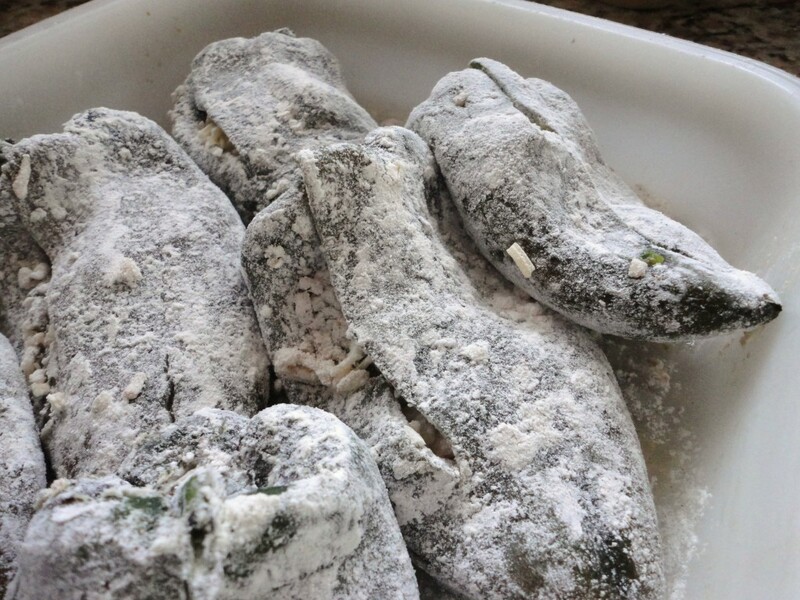 Enjoy these chile rellenos with a cold beer for dinner or a cup of coffee for breakfast. Combine the first 8 ingredients in a mixing bowl. Set aside. 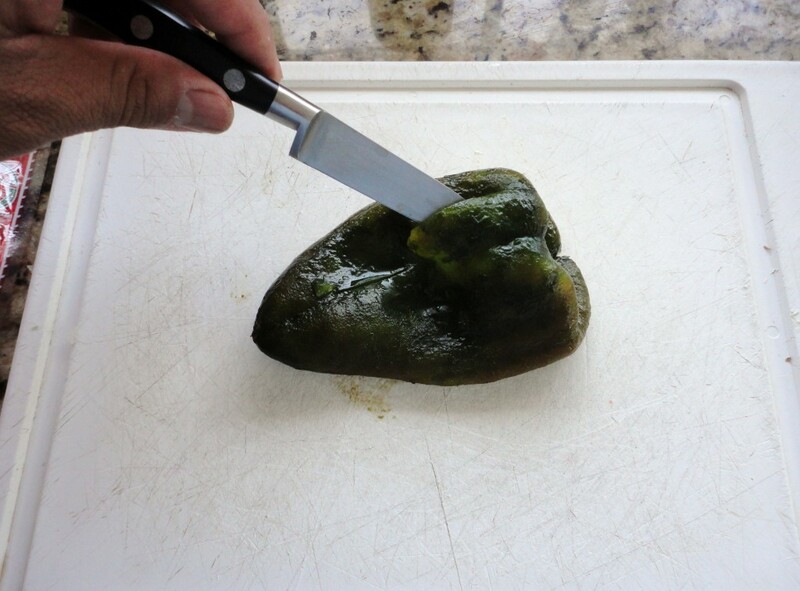 Next you’ll need to remove the skin of the pasilla peppers. Completely coat the peppers using the1 tbsp of oil. Over a burner, char the peppers on all sides. Place in a Ziploc bag for 15-20 minutes. 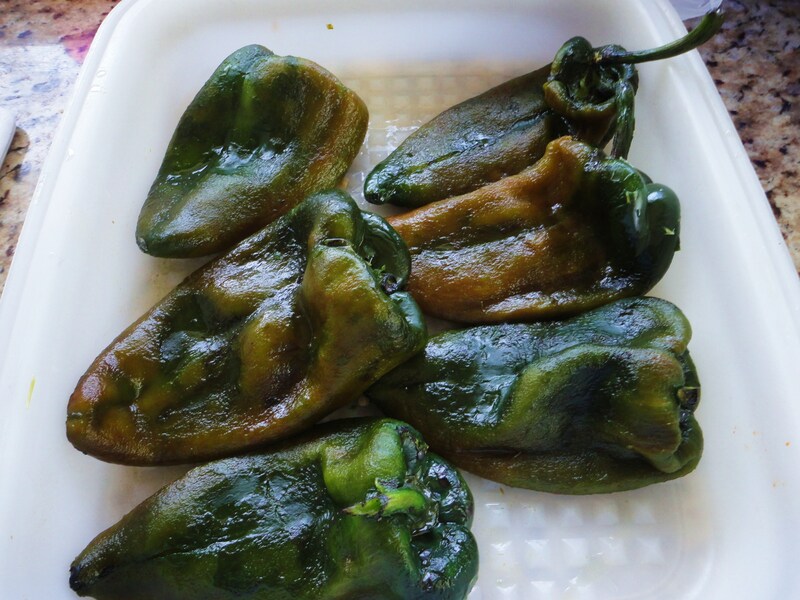 Under running water, remove the charred skin of the peppers, taking care not to tear the skin of the pasilla peppers. 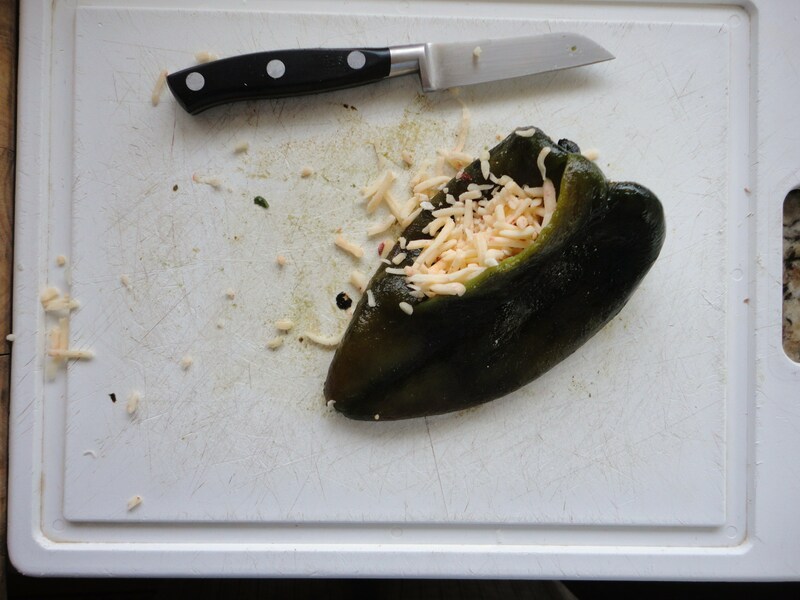 Cut a small slit into the peppers and fill with cheese. 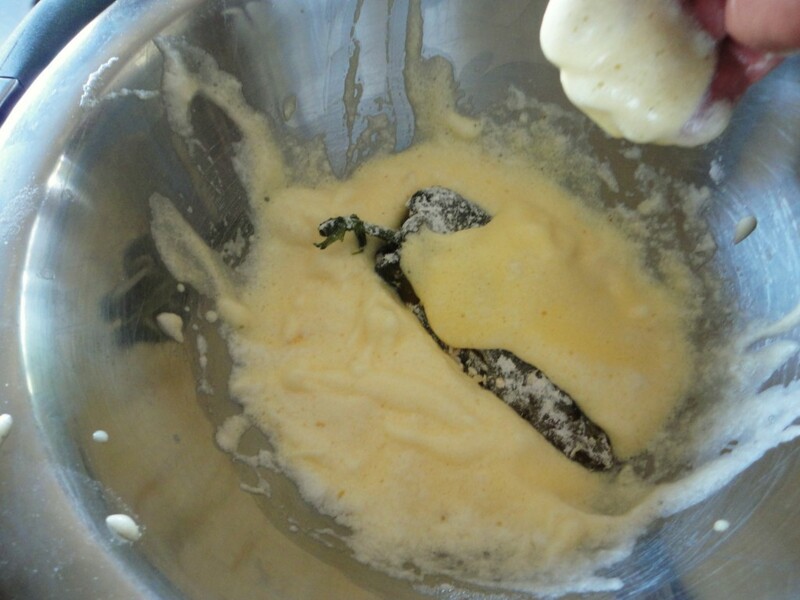 While your oil is getting hot, in a large mixing bowl beat your egg whites until you get firm peaks, then quickly beat in the egg yolks. When your oil is hot, carefully dip a pepper into the egg mixture, covering completely, and gently place in your oil. Fry for about 2-3 minutes each side. Do this in batches so as not to crowd the pan. Place on paper towels to drain. 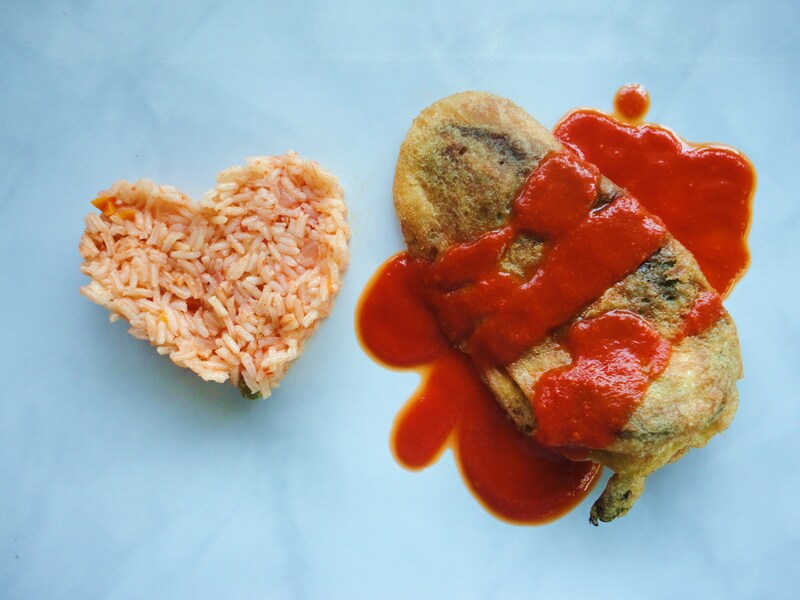 Spoon some red salsa over your chile relleno. Serve with Spanish rice, frijoles del olla or alongside a fried egg. Disclosure: V&V Supremo graciously provided LatinoFoodie with the cheese for this blog.